PHN FemCee-Vember Edition | Sweet Tee – ‘On The Smooth Tip’, ‘It;s Like That Y'all’ and ‘What's Up Star?’ [VIDEO & SONG] ~ Phresh Hott New! Sweet Tee (born Toi Jackson also known as Suga) is an American rapper, who was signed to MCA Records in the 1980s. 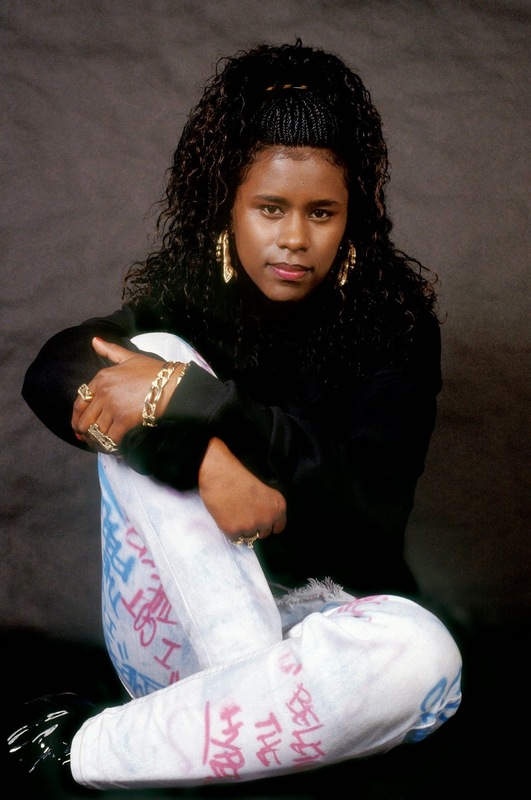 Sweet Tee scored minor chart success with her debut album, ‘It’s Tee Time’, which peaked at No.31 on the US Billboard R&B chart and scored four chart hit singles from her debut album. Including “I Got Da Feelin’” (No.48 on US R&B & No.31 on UK Singles Chart), “On The Smooth Tip” (No.36 on US R&B) and “Why Did It Have To Be Me.” For single “It’s Like Y’all” in the UK it peaked in the Top 40. In 1995, Sweet Tee released her single “What’s Up Star?” under the moniker Suga. As of 2010, the artist’s Facebook Page, once again using the name Sweet Tee, reported that she is back in the studio, and a sneak peak of her work “Queen of QNZ” can be found online.